Nowadays, when people are always in a rush, a dinner party can be a real treat. Nothing is better than having all your friends at one place, eating homemade dishes, drinking, and laughing together. Such a lovely event can indeed make us much happier and even lower the levels of stress. However, many people think that throwing a perfect dinner party is a pain in the neck – very complicated and often frustrating. Well, this is so not true! If you are still skeptical about this – stay with us. Here are some of the most important tips on how to successfully host a perfect dinner party. Enjoy! Even though it may be extremely tempting to prepare some exotic Taiwanese dish – trust us, that is not such a great idea. First of all, you probably won’t even pronounce its name properly, and what is more important, most of the ingredients will be unfamiliar to you. Cook something you are confident with. This is a crucial step, particularly if you plan on having a dinner with multiple courses. This means that you will need the oven for more than one dish, so planning your timetable is always a good idea. Cooking for a larger group obviously takes longer than preparing a meal for two, so have that in mind – give yourself an extra hour or two in the kitchen, just in case. This basically means that you should avoid dishes that require constant checking, stirring or flipping, especially when you are cooking for many people. The key lies in simplicity, and it is definitely smart not to complicate things too much. Also, doing the hard work first is a good way to go. Besides that, you can always chop vegetables the evening before the party, as well as to bake desserts a few days before it. When planning the menu for your perfect dinner party, you should definitely avoid too many heavy dishes. Instead, just think about what goes together and prepare the dishes according to that plan. For example, if you decide on having a steak or fried chicken for the main course, it would be a good idea to choose a light dessert. You can also stick to the particular theme, such as Italian or Chinese cuisine. 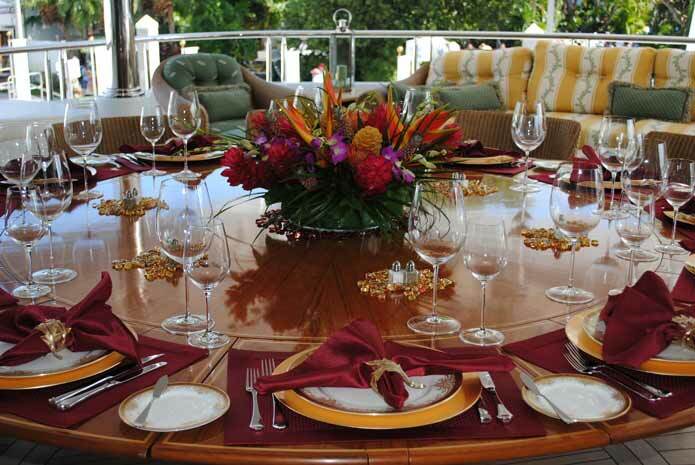 All of us would agree that table decoration has a major role while planning on a dinner night, which is why it should be taken care of properly. Great presentation can turn even the simplest dish into the most special one, so take care of the finishing touches that will impress your guests. Take the whole event to the next level and do it classy – by choosing Waterford crystal glassware that will add a touch of glamour to the whole room. A vase or two filled with freshly picked roses will also enhance the overall atmosphere at the party. All of the aforementioned tips are essential if you want to make it work, however, it is also very important not to take yourself, as well as the whole party, too seriously. The host’s mood actually sets the tone of the party, so give your best to be as relaxed as possible. If you are having fun, be sure that everyone else will, too. Good luck! What you need to know about critical illness plan? How to conceal acne scars (or pimples!) in 3 simple steps?